Each week, we publish a gallery of readers' pictures on a set theme. This week it is "Mirror mirror". 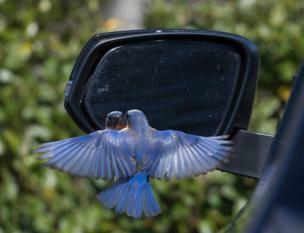 Deborah Roy: "This bluebird is defending his territory against the bluebird in the mirror." 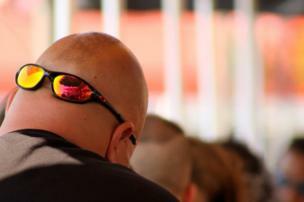 Jenny Downing: "He must be a teacher; he's got eyes in the back of his head." 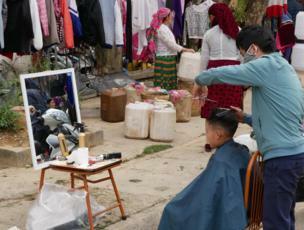 Heiri Klein: "Two chairs and a mirror is all it takes to make a hair salon." 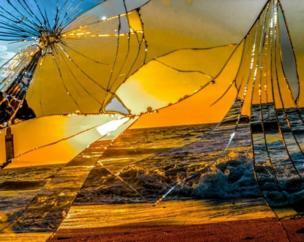 Anthony Amorosi: "I brought a large cracked mirror to the beach. 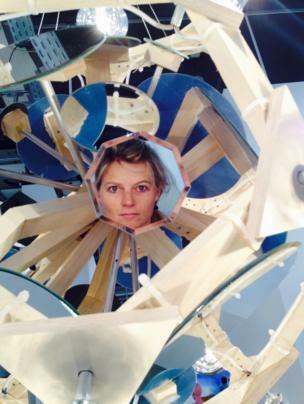 When I bent the mirror, it gave a great distorted stained-glass effect." 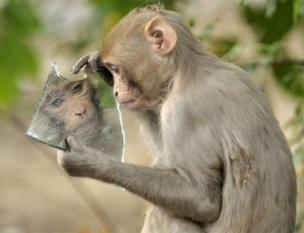 Prerna Jain: "A monkey looking at its reflection in a broken piece of mirror carelessly thrown by a passer-by." 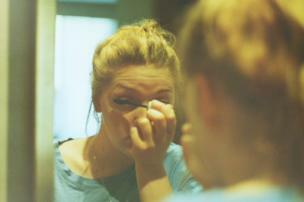 Amy Humphreys: "My girlfriend, Courtney, getting ready for our last night with family before heading off to New Zealand for a year." 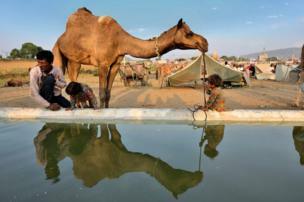 Anil Tulsi: "A camel-selling festival last November in Pushkar, India." Becky Hamilton: "I love how the technicolour top emphasises the lightheartedness of the scene, despite the deadpan face." The next theme is "Performance" and the deadline for your entries is 16 April 2019. If you would like to enter, send your pictures to yourpics@bbc.co.uk. Further details and terms can be found by following the link to "We set the theme, you take the pictures", at the bottom of the page.